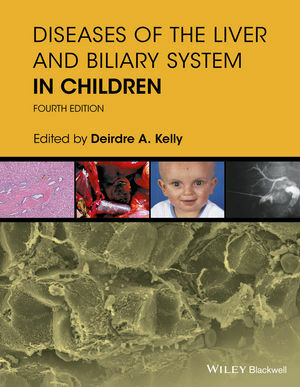 This market-leading book, with comprehensive coverage of the entire spectrum of liver disease in children, returns with 12 brand new chapters covering key areas in liver transplantation, viral hepatitis, and liver disease in infancy. Prof Deirdre Kelly is one of the world's leading pediatric hepatologists, and was responsible for helping create the Paediatric Liver Unit at Birmingham Children's Hospital, a leading national and international institution for children with liver disease and undergoing liver transplantation. She runs an active research programme focussing on viral hepatitis in children, molecular genetics of inherited liver disease, and quality/outcome of life following liver/intestinal transplantation. She's a former President of the European Society of Paediatric Gastroenterology, Hepatology and Nutrition (ESPGHAN), the British Society for Paediatric Gastroenterology, Hepatology and Nutrition and the International Paediatric Transplant Association. She has been on the editorial boards of the Journal of Liver Transplantation and Surgery, Pediatric Transplantation and Alimentary Pharmacology & Therapeutics, and has had 250 papers published, as well as 7 books and 26 book chapters.